There’s this adorable restaurant in Scranton called Mansours, and every time I go in there I want to hunker down and spend the day there. It’s just beautiful and so welcoming. It also doesn’t hurt that their food is amazing, and they serve La Colombe coffee, which I really miss from when I lived in Philly and there was a La Colombe about every block or so. They also serve one of my very favorite breakfasts. Are you ready? 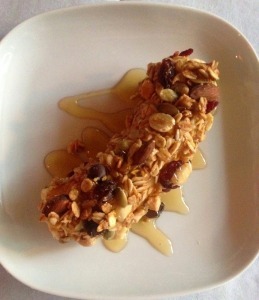 Bananas, covered in peanut butter, rolled in really good granola and drizzled with honey. I know. I finally decided to try and make this myself since, you know, they’re not open every day. Enjoy. 1. Cut off the very top and bottom of the bananas. 2. 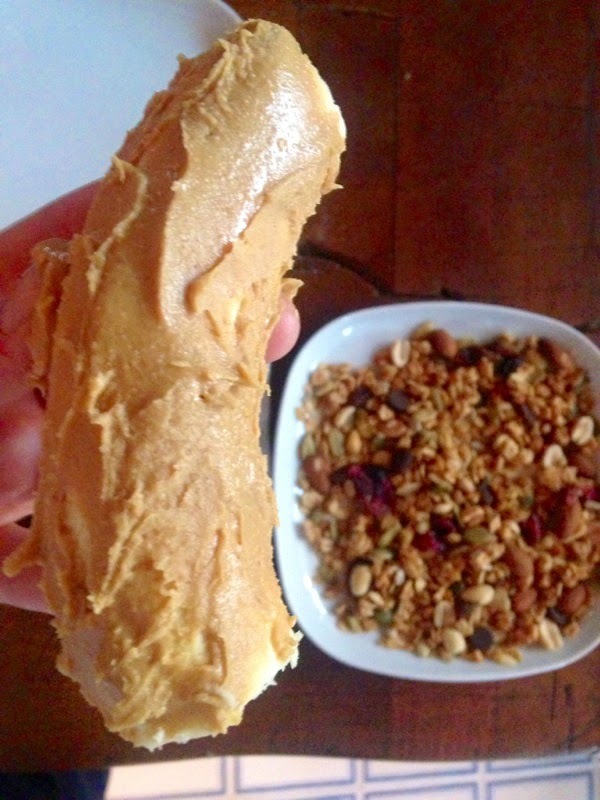 With a knife, cover the bananas in peanut butter. 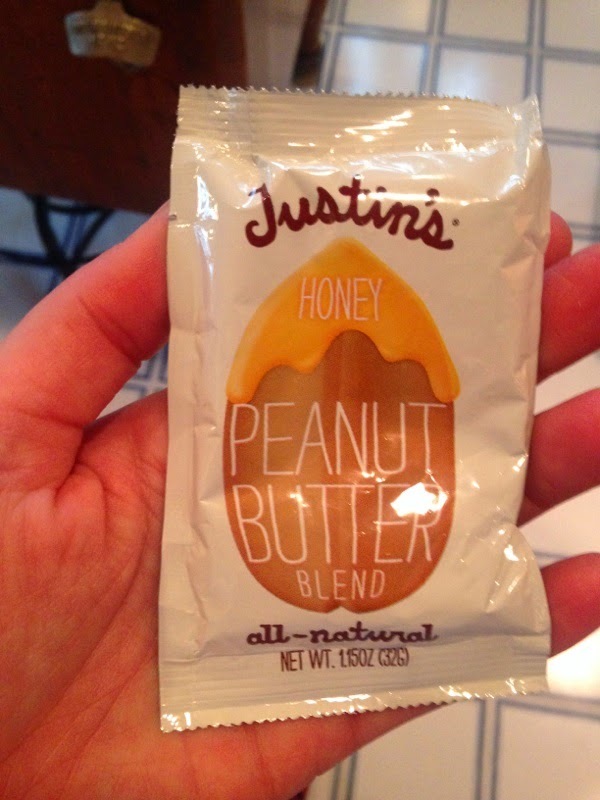 I used Justin’s honey-peanut butter, which was awesome on this. 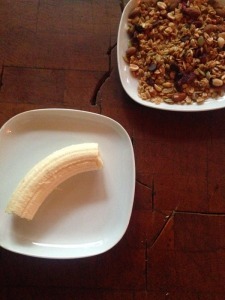 This entry was posted in banana, breakfast, granola, honey, justin's, mansours, simple on December 7, 2014 by westyn.